This year we will be brewing a series of single hopped one offs. These beers will all consist of the same malt grist, yeast and will be the same ABV, with the only difference being the use of one hop variety in each. All will be pale and 4%. 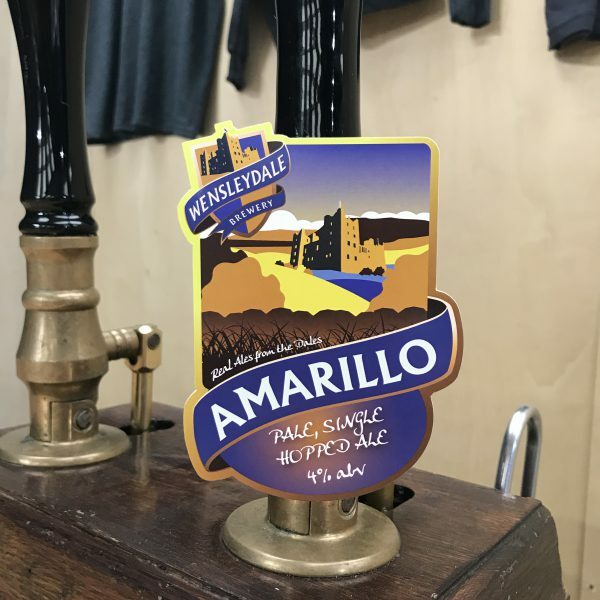 This shines a spotlight on the hop and the different distinctive flavours each gives, which can easily become difficult to gauge where 2 or more hops are used. This time we’ve used Amarillo in pellet form, some going in the kettle and some used as a dry hop. We would describe the flavour and aroma as floral, tropical, and citrus (lemon, orange and grapefruit) characteristics. However, it has a lot smoother feel than some of the really big, power punches some of the other hops bring to the party. If you’re interested in stocking some of this beauty, or want to know where it’s going to be served, get in touch!